, the Map Maker Community team has begun a series of campus visits across the US. Our first stop was the University of California at Berkeley, where we gave students and faculty a chance to learn about Google Map Maker and work with Map Maker team members in person to map their campus. Even though the map of Berkeley and the UC Berkeley Campus on Google Maps were already well mapped, students still identified many opportunities to add their local knowledge to the map. 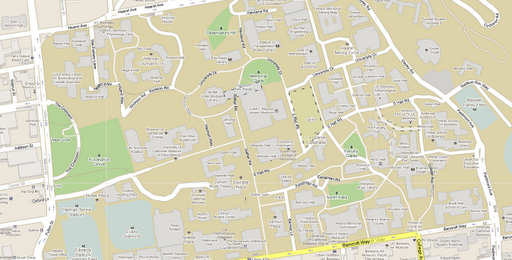 Edits included moving location markers, tracing building boundaries, and adding names of campus dorms. The Google Map Maker community team was on site to guide these new mappers and note their thoughtful feedback. Participants were excited about making corrections and contributions to the map in their area, particularly the U.C. 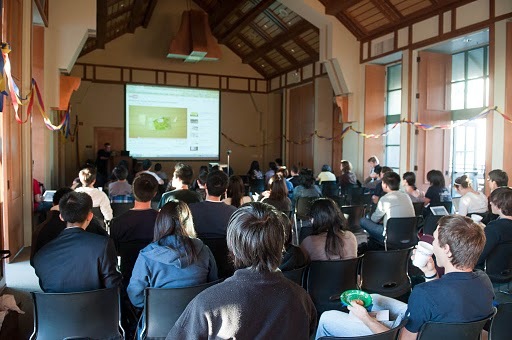 Berkeley campus, and seeing the edits they made appear on the monitor that had been set up on the big screen at the front of the room to show real-time mapping. Everyone has local knowledge they can add to the map. Help us make your school look even better! 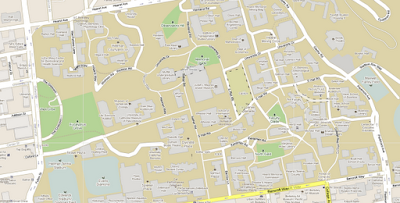 Check out your college campus at mapmaker.google.com and leave your mark on the map by drawing walking paths, adding details to your school's buildings, and more. For more information on how to get started and to connect with other mappers, check out the Google Map Maker community forum. You can also reach out to the Map Maker community team at mapping@google.com. As part of the recent US Map Maker launch, the Map Maker Community team has begun a series of campus visits across the US.